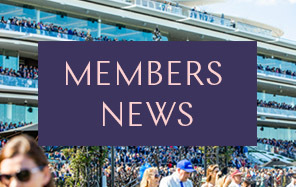 Members and their guests are invited to join racing identities for an exclusive overview of the industry from the Committee Room at Flemington Racecourse. 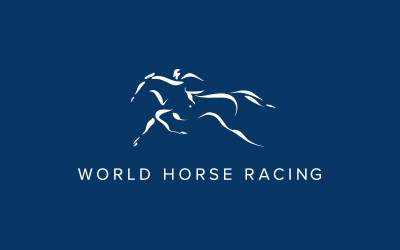 This is a great opportunity to gain insights from the best for both novice owners and those who have already tasted success, while enjoying a day at the races. Racing Victoria Equine Welfare Manager, Jen Hughes’ role encompasses equine welfare before, during and after their racing careers. Jen is responsible for the development of the equine welfare strategy, equine welfare policy, participant education, welfare visits and assessments, the delivery of equine welfare programs and initiatives including the Off The Track (OTT) Program and the coordination of research projects. Jen’s previous experience at Racing Victoria was in intelligence and licensing roles and prior to this, she spent eight years at the British Horseracing Authority where she managed key participant welfare projects including a five-year strategy to deliver welfare objectives for both equine and human participants, a study into Equine Careers After Racing and the development of an ex-racehorse strategy with British racing’s official charity, Retraining of Racehorses (ROR). Jen has a Masters in Equine Science and is currently completing a Masters in International Animal Welfare, Ethics and Law. AFL legend and Brownlow medalist Anthony "Tony" Liberatore is a first time horse owner having recently become a part owner in the David Hayes, Ben Hayes and Tom Dabernig trained, Five Kingdom. Growing up the son of a busy racehorse trainer, Troy naturally picked up so much from his father, Leon (Bart Cummings’ right hand man for over 20 years). Ever the thinker, it wasn't long before Troy began harbouring visions of his own business and in December 2010 he launched Malua Racing, opening up Stables at Flemington. Troy’s judgment of horses and extensive knowledge of breeding and lineage is renowned within the industry. Having bought hugely successful horses like Starspangledbanner- 4 x Gr1 winner in both Hemispheres including a win at Royal Ascot, UK, he has unearthed or had involvement with many Group performers such as Mosheen, Awesome Rock, Montoya’s Secret, Linton, Helenus, Politeness, Heidelicious, Ms Funovits, Anatina etc. He also selected and purchased 4 x Gr1 sprinting sensation, Santa Ana Lane. Anthony Mithen is a former journalist and sports broadcaster who now part owns and operates one of Victoria’s largest racing and breeding operations, Rosemont Stud. A sports writer at The Age covering AFL, cricket and racing, he worked at Channels 10 and 9 before co-hosting the RSN breakfast show for 3 years. The untimely death of his father-in-law Grant Austin saw him take over the reins of what was then just a small boutique family stud farm. It has now grown to manage around 450 horses and be a driving force in the Victorian breeding scene. Rosemont was this year named Victorian Breeder of the year following terrific success on the track, highlighted by horses like Runaway, Iconoclasm, Thrillster and emerging 2yo Brooklyn Hustle. Limit of three guest tickets per member. By booking tickets to the Ownership Insights event you agree to be subject to and will abide by, and shall notify and require your guests and invitees to abide by the Membership Conditions and Member Events terms and conditions including any amendments notified to you by VRC.